Task 1: “Confess” your book habits. Dog-earring? Laying books face down? Bending back the spines? Skimming? OR: Confess your guilty reading pleasure, or comfort reads. I don't know how to say this without it sounding smug - no smugness intended - but I don't think I have any bad book habits; none of the standard ones anyway. If excessive book buying is a bad habit as some would have me believe *cough*mother-in-law*cough*, then yes, mea culpa. But I'm very careful to always use a bookmark, I don't write in my books, and I generally try to teat them well. I do tend to fall asleep while reading, so I often find them the next morning under the covers, but so far, they've survived unscathed. Task 2: It’s “Pennants” day according to MbD’s husband: post a picture of your favorite team’s logo/mascot and the last time they’ve won a championship (or not). Like BrokenTune, the sports I enjoy (baseball and ice hockey) are sports I enjoy for the love of the game, so I don't have 'a team' - I enjoy the game, not the competition. BUT ... there's one team that's always held a special place in my heart. Not because most of my family is from Chicago, but because they are the ultimate underdog. For those outside the states that are unfamiliar with The Chicago Cubs Baseball team, until 2016, they were widely regarded as cursed. Known as The Curse of the Billy Goat, it was supposedly placed on the Chicago Cubs in 1945, by Billy Goat Tavern owner William Sianis. Because the odor of his pet goat, named Murphy, was bothering other fans, Sianis was asked to leave Wrigley Field during game 4 of the 1945 World Series. Sianis’s family claims that he dispatched a telegram to team owner Philip K. Wrigley which read, “You are going to lose this World Series and you are never going to win another World Series again. You are never going to win a World Series again because you insulted my goat.” The curse lasted 71 years, from 1945 to 2016. But their losing streak goes even further back. They had the longest losing streak in baseball history - 108 years. 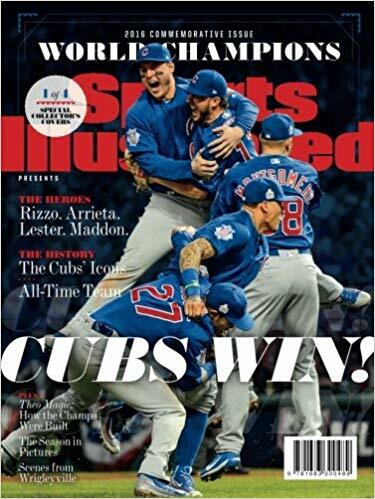 Game 7 of the 2016 World Series - a breathtaking, heart stopping game that went into extra innings - was the first and likely last time in my life I'll have ever wept over a game. I still get misty eyed remembering that game and the joyous aftermath. 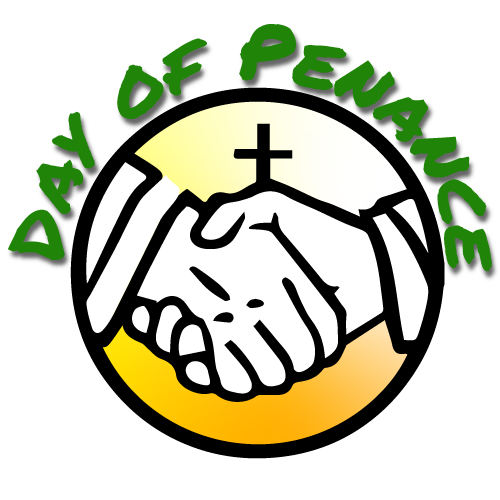 Task 3: In centuries gone by, penance would often end up in what might be described as a very extended bad hair day (complete with sackcloth and ashes). Tell us: What’s a bad hair day to you – and what (if anything) do you do about it? A bad hair day was every day of my life until 2007, when I stopped living in a part of the world with an average humidity of 90%. My hair is fine, but there's a lot of it, and it's curly, so as soon as it even *looks* like it might be a humid day, my hair starts to grow in volume and I look like a walking, talking embodiment of a chia pet. As to what I did about it? I moved to the bottom of the world, where there's never a humid enough day to make my hair sit up and take notice. Task 4: Early Christian spiritualists would sometimes do penance by spending time in the desert. If you’ve ever visited a desert region (or even live there), post a picture and tell us about it. Alternatively, post a picture of sand dunes (NOT with water in the background!). My first experience with a proper desert was Abu Dhabi, when I was there for a work project in 2007. 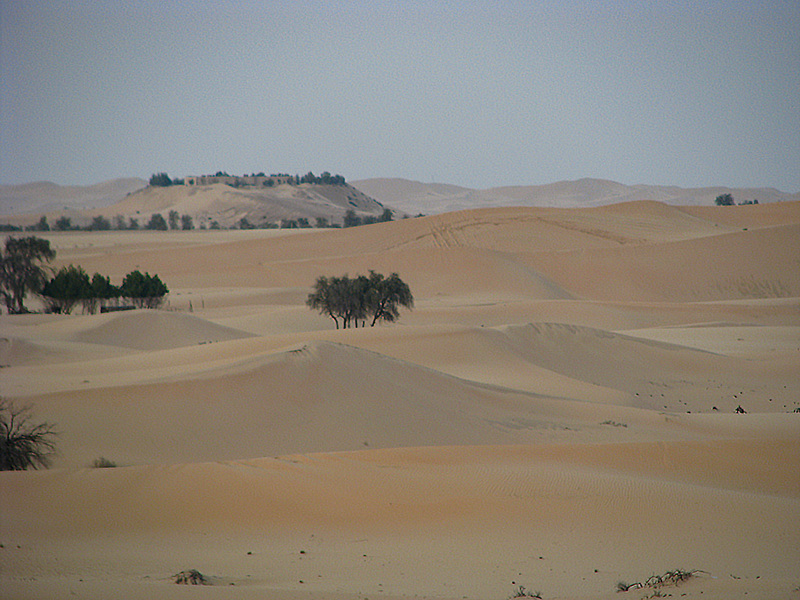 According to National Geographic, The Empty Quarter, or Rub al Khali, is the world's largest sand desert. My co-workers and I went on a desert safari, where you go out in off-road SUVs, driven by the locals who obviously did not have to worry about pesky things like liability insurance. 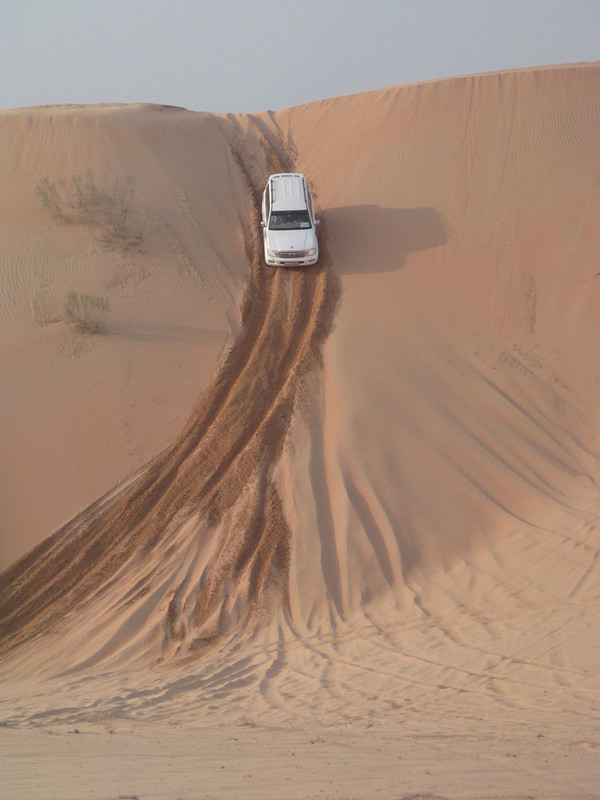 It was a blast, but there were times we went down dunes sideways and I had a distressingly up close and personal view of the sand from out my window. Once we got out into the middle of nowhere, there was a bedouin camp setup for us tourists, and we could ride camels or 'snow' board down the dunes. 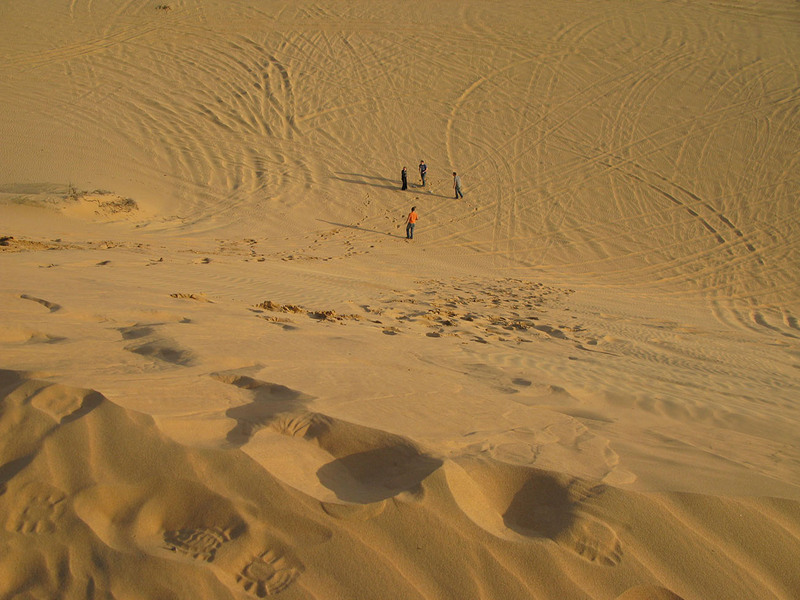 From the top of the dune - the specks towards the center are my co-workers. That's me, hanging from the camel by my left foot (which was caught in the saddle), after my camel decided 'eh - I'm standing up now'. For the record: I AM NOT THAT FLEXIBLE. This is as close to the splits as I've ever gotten in my life. I hung there until that camel herder came back and cajoled the camel into sitting back down. Which took 100% too long. At sundown, we entered the camp and enjoyed a bedouin feast, a hookah (which I didn't try), or take the opportunity to try on the native attire. We wound up the evening with a belly dancer performance. More recently MT and I were in Uluru, which some of you may have seen pictures of already. According to my atlas, Uluru lies in the middle of several deserts in Australia's Red Center: The Simpson desert is to the east, the Great Victorian Desert to the south, the Gibson to the West, and the Tanumi lies to the north. If you're brave enough to do the drive, this is NOT a road you want to run out of gasoline/break down on. I won't bore you with pictures I've already posted; I'll just include this one, as it has the trifecta: the desert, Ayer's Rock (Uluru) and me, well, my shadow anyway - MT and I are in the middle there - successfully on a camel; no inhuman stretching required.